The easiest and least expensive way to buy an affordable import car is on Craigslist. Everyone gets envious when they see a beautiful Porsche or BMW, even when it’s from 1994. In some cases, people turn green with jealousy especially when that little car is from 1994 instead of a newer model. However, Craigslist has been known for having a few problems stemming from dishonest users. 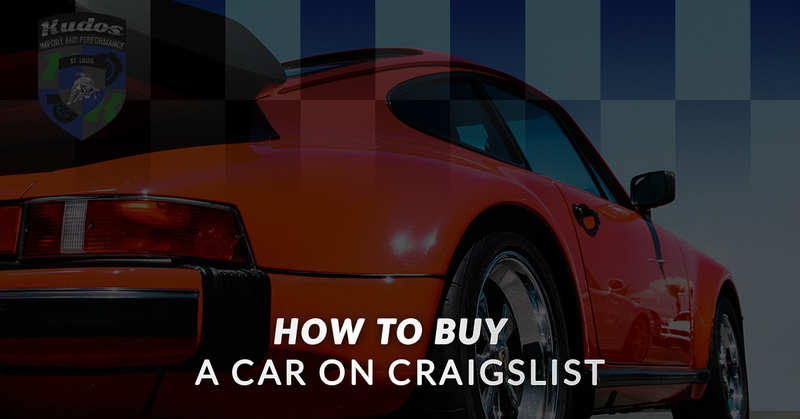 So what’s the best way to navigate a car purchase on Craigslist? Rest easy, because Kudos Import Auto Repair is here to guide you. This is an obvious tip, but you definitely need to research a lot about the model you’re looking at once you have a couple picked out. Realize that sometimes there is a wealth of information on the car and other times there will be very little. Look specifically for auto maintenance ratings for the car. This should be easier to find if it’s less than 25 years old, and more than 3 years old. This is because everyone who is going to go claim that it’s a lemon already has. Before buying an import auto it is especially important to look into this aspect as some parts, for whatever reason, may have become rarer over the years and therefore raised the price. If you check forums on DIY pages for that model, they’ll tell you what to look for which will be easy to spot when you go to see the car in person. After doing your due diligence and crawling forums and columns about the model, you’re ready to go check out the car itself. Pro tip: bring your spectacles, because you’re going to be peering real close at all of the components waiting for you under the hood. Bring napkins to check the oil, a notepad, a pen and if you’re looking at a 1996 or newer bring an OBDII reader. The more prepared you look the more willing they’re going to be to point out the flaws to you and not make you go digging. If you catch something that they don’t it means you can offer a lower price for the car. When asking questions, start with the easy stuff like inquiring as to the welfare of the lights, dash lights, the engine idling evenly, pending codes, and the tire and brake pads lifespan. The best thing about Craigslist is the negotiation culture that surrounds it. So when you’re checking out the car, be sure to look for every imperfection and be petty because when it all stacks up on your list you can start bargaining. If the car is worth your time, the seller is going to be completely willing to bring it to a shop of your choosing and get it looked at. This is of the utmost importance when it’s a European auto that you’re trying to purchase. Chances are that no matter how much research you do on the model beforehand, it’s not going to be as simple as a Ford or a Chevy. BMW, Porsche, and all the rest are known for making complex, but precise machines and you’ll need someone familiar with the vehicle’s build and everyday experience with the brand to really make sure you get the right price. More than likely, your mechanic will take you to the side and give you an estimate on what the car needs as far as auto maintenance and the value of the car itself. This expertise will be the thing that ensures you get a great deal and the dream car you’ve been hoping for at a great price. If you’re looking to buy an import auto off of Craigslist in St. Charles or Chesterfield, insist on bringing the vehicle to Kudos Luxury Auto Repair before making a purchase. We’re in the business of making sure you get the most for your money while maintaining the integrity of your vehicle. Contact us if you have any questions about the process here.